It’s been a busy week! Holger and I were headed to the East Coast for a graduate summer workshop on marine bioacoustics (SeaBASS) and since we were coming all this way we decided to make a few extra business stops beforehand. View from the bridge next to our hotel in Manteo, NC. The beginning of the week took us to Manteo, North Carolina, where we met up with Dr. Becky Harrison, Assistant Coordinator of the US Fish and Wildlife’s Red Wolf Recovery Program (RWRP). 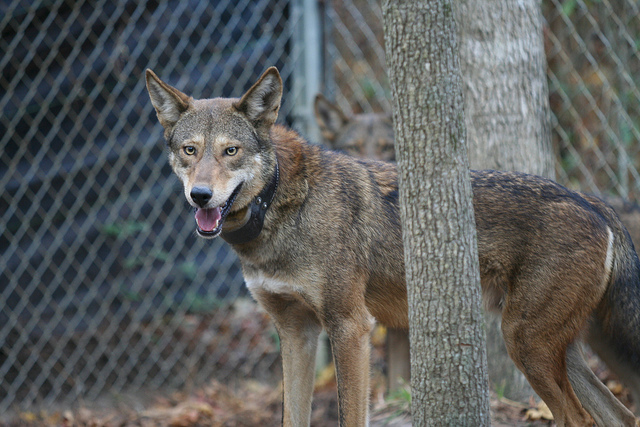 Red wolves (Canis rufus) are critically endangered and can only be found in the wild in Northeastern North Carolina. About 100 wolves currently inhabit the area, all because of ongoing recovery efforts including captive breeding and release. 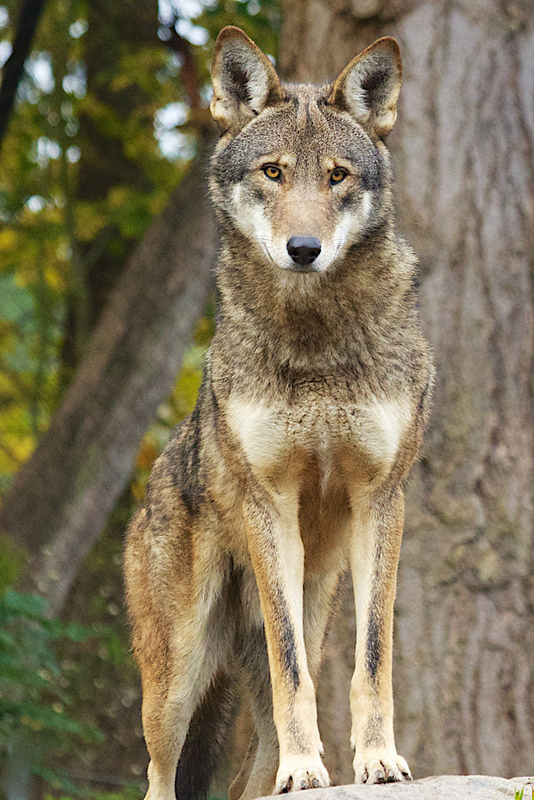 We’ve been talking with Becky about potentially collaborating with the RWRP to collar red wolves with our Carnivore Acoustic Tag, allowing us to learn about red wolf vocal behavior, prey preference, and even the potential impacts of noise. It was great to meet Becky and the knowledgeable field team to learn more about the program and discuss potential applications and tag development, including special considerations for red wolves and their wetland habitat. She even took us out to see a few captive individuals and see the Pocosin (I had to look up what that was). Be sure to check out RWRP to learn more about the program!! Next stop was Woods Hole, Massachusetts to meet up with our super awesome “tag guy” Dr. David Mann of Loggerhead Instruments. David is part of the Pinniped Acoustic Controlled Playback Experiment and we are currently working on improving that tag for future deployments. Sometimes in grad school you learn things that have nothing to do with your research. Or should I say he is working on the tag improvements while Holger and I are improving our wildlife handling skills? 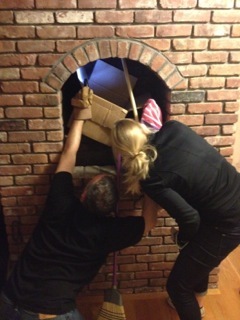 There were two baby raccoons that had been trapped in David’s chimney for two days that Holger decided had to be rescued ASAP. Sometimes science has to wait!! 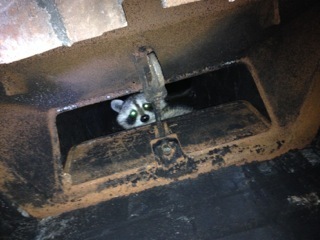 I’m happy to report we got them out and released them last night. We tried explaining that we were trying to help them but they didn’t really believe us. Our busy schedule continues tomorrow as we head to NOAA’s Northeast Fisheries Science Center in “downtown” Woods Hole for some meetings with Dr. Sofie Van Parijs, one of the co-PI’s and collaborators on ORCAA’s NOAA Ocean Noise Reference Station Network Project! **East coast bias is a term used in sports describing the phenomenon where east coast teams often receive greater respect and recognition than west coast teams. This stems from a variety of reasons including team histories and the three hour time difference. Fortunately such a bias does not seem to exist in the world of bioacoustics!